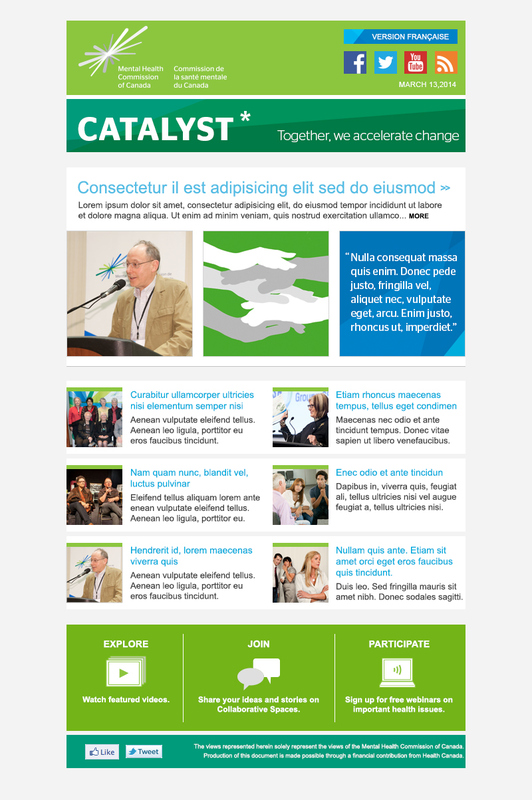 Catalyst, the MHCC's email newsletter promotes initiatives and mental health issues to a wider audience. Aurora provided a flexible template that can accommodate a wide range of content. info@auroramotiongraphics.com | +1-604-628-7320 | www.auroramotiongraphics.com | © 2016 Aurora Motion Graphics Inc.